Hypothyroidism is a condition where your thyroid is underactive. The thyroid is what regulates many bodily functions. Symptoms from hypothyroidism can begin slowly and become more severe. Low thyroid hormones can affect many areas of the body. Hypothyroidism can cause low blood pressure and decreased heart rate. These symptoms can put a person at a greater risk for hardening of the arteries or heart attack. Hypothyroidism can also lead to cholesterol problems. Difficulty thinking or a feeling of fatigue, known as “brain fog,” sometimes occurs in people with hypothyroidism. This mental cloudiness can lead to forgetfulness or difficulty completing tasks. The link between thyroid function and depression has been acknowledged for a long time. According to a 2012 article in the Journal of Thyroid Research, people with thyroid problems are more likely to develop depressive symptoms. Hypothyroidism often slows your metabolism. Also, low levels of thyroid hormones can change how your stomach digests food. Thyroid hormones affect the production of a key stomach hormone, gastrin. Low gastrin levels can lead to heartburn, ulcers, reflux, bloating, and inflammation. Having low thyroid-stimulating hormone (TSH) levels can lead to a higher risk of bone fracture. Hypothyroidism doesn’t generally lead to bone loss, but taking too much thyroid hormone replacement may cause bone loss. It’s important that your doctor regularly checks your hormone levels to make sure they’re in the appropriate range. Hypothyroidism can cause an increase in gallstones. This is due to the thyroid hormone thyroxine relaxing the opening of the gallbladder. This causes bile to flow abnormally, leading to increased stone production. Hypothyroidism can cause your eyebrow hair to thin. This usually occurs on the outer portion of the eyebrow. Some swelling of the eyes can also occur as the result of low thyroid hormones. Vision changes are more prevalent in a form of hyperthyroidism called Graves’ disease. Because many skin conditions have overlapping symptoms, diagnosing thyroid-induced skin disorders can be difficult. Hypothyroidism can lead to an inability to handle cold temperatures, triggering dry or waxy skin. You may also experience ridged or split nails, swelling, and a pale or yellow appearance of the legs. Your scalp and body hair may become thin, coarse, or dry. Hypothyroidism can occur as a secondary condition. A disruption in the pituitary gland can cause thyroid conditions. This is because the pituitary gland and hypothalamus regulate the thyroid. Secondary hypothyroidism occurs when the pituitary gland fails to make TSH. The cause is often a benign, non-cancerous tumor. 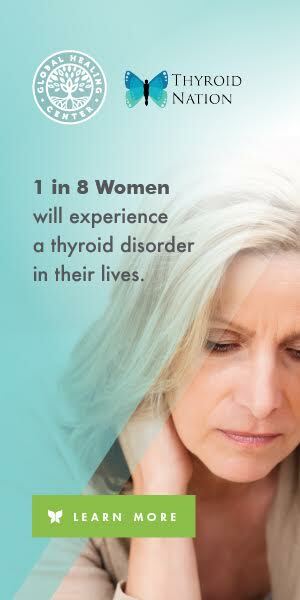 This secondary hypothyroidism is more common in women over the age of 50 and in people who have had a prior pituitary problem. The pancreas and thyroid are both part of the body’s endocrine system. As a result, these two systems often work in tandem. One influences the other so when the thyroid is sluggish, blood sugar control becomes more difficult. In this case, this slowness leads to decreased sugar absorption in the stomach, which can trigger fatigue. These imbalances are more common in Hashimoto’s thyroiditis, an autoimmune condition. As you can see, hypothyroidism can affect every part of your body in some way. However, it’s important to remember that it effects everyone differently. So what you experience may not be the same as someone else. Make sure to maintain regular visits with your doctor so they can monitor your laboratory results and get you on the right treatment plan. Doing so means you can lead a normal and healthy life. This article originally featured on Healthline.com. Follow them on Facebook, Twitter and Pinterest. You can find the original article here. Questions or anything to add about the effects of hypothyroidism? We want your thoughts, please. You might just help someone else in need. my father has hypothyroidism and takes levothyroxine regularly. I was researching this and found that out of 16 or so symptoms i suffered all but two so I’m wondering if I should be tested for this. You should also have a test for TPO antibodies which will tell you if you have Hashimoto’s disease. My grandparents and mother all have been diagnosed with Hypothyroidism but no bothered to tell them they had Hashiomto’s so no one told me to watch for it and I lost 2 years of my life. I was sick for 15 years before my body shut down altogether. It’s not just a thyroid problem, it’s an autoimmune disease which doctors will tell you nothing about. I’m on my third Endocrenologist and at this point I know more than they do. Do your homework!!!!! There’s a book called “The root cause” by Isabella Wentz that will tell you everything the doctors wont bother or don’t know. Also, check out The Hashimoto awareness group, they did a Summit where they got all the experts in the field together for a podcast. And get off GLUTEN NOW!!!! I developed peripheral neuropathy about two years before they found, really by accident, a lump on my thyroid. No dr has ever told me it’s that PN is related to my thyroid. I had a total thyroidectomy as a result, Papillary Thyroid Cancer was found stage 3. Now I’m dealing with another host problems especially depression. Endo says it’s not related to my thyroid either but that I must have had it before and that I am “my mothers daughter.” If he knew me before he would never have said that. My mom, as well as her mom, has been on Levo since she was 25, then went on Prozac 5-10 yrs later for depression. Good gawd don’t any of these Dr’s know anything? How is it that these articles know and publish these symptoms but the Dr’s don’t have the same info? I just don’t get it!